Home / Energy / The Italian Gas Market: What Future with the New Italian Government? The Italian Gas Market: What Future with the New Italian Government? The Italian gas market has always been characterized by long–run national policies, determined by long supply contracts and by the predominance of gas for domestic heating and for industrial activities in the energy basket. Thus, the succession of governments has a modest impact, even though the infrastructures and international agreements may be affected somehow by different points of view. Italy’s natural gas market is the third–largest in Europe. Over the past six years the country has invested significantly in new infrastructures but it is now experiencing a period of falling demand, as demand for gas–fired power is offset by the growth in electricity generated from renewable sources and energy efficiency. Furthermore, despite the implementation of many new measures to facilitate the emergence of a competitive gas market, end–user prices remain high by European standards while wholesale prices appear to be converging with other markets. The natural gas is the largest fuel in Italy’s energy sector, representing 36.7% of the total primary energy supply (TPES) and 38.3% of the electricity generation in 2015. The natural gas supply was 67.5billion cubic metres (bcm) in 2015, equivalent to 55.3million tonnes of oil equivalent (Mtoe). The supply of natural gas increased by 9.1% in 2015 compared to the 2014 but was 21.7% lower than a peak of 86.3 bcm in 2005. Italy produced 6.8 bcm of natural gas in 2015, or 10% of domestic supply. Production peaked in 1994 and has been falling, as resources depleted, since it was 56.1% lower in 2015 than in 2005. At present, there are 719 active gas well assigned to 26 concessions. The natural gas imports totalled 55.8 bcm in 2014 while 0.2 bcm was exported. Imports originated from Russia (43.1%), Algeria (12.2%), Libya (11.7%), Netherlands (11.7%), Qatar (7.9%) and others. Imports from Libya, Qatar, Germany, Austria and Croatia all started in 2003. Previously, imports originated mainly from Russia, Algeria, the Netherlands and Norway. Since 2004, imports from Algeria, Norway, and the Netherlands have declined by 73.6%, 48.6%, and 19.1% respectively, while imports from Russia have increased by 1.7%. Exports were to Switzerland (41.4%), Slovenia (29.5%), and Austria (29.1%). Italy has diversified its natural gas imports over the same period. While Italy has access to multiple gas supply sources, the supply mix is heavily dependent on Russia. In the future, the reliability of North African imports – which have traditionally been the main diversification option to Russian gas – remains questionable. While ENI has strongly reduced its imports of the Algerian gas in recent years, owing to the sharp reduction in domestic demand, it is unclear to what extent Algeria could ramp up exports to levels seen early in this decade. There has been limited new investment in the Algerian upstream sector while fast growing demand may limit the availability of gas for export. ENI, Enel and Edison hold commercial gas supply contracts with Algeria (Sonatrach) and these will expire in 2019. The commercial gas transit contracts with Tunisia will also expire in 2019. Signing new supply contracts in the context of reduced internal demand and an ever–increasing share of hub–linked prices in Europe might also prove challenging. From March to September 2011, the gas supply from Libya came to a complete halt because of the war, then slowly resumed in October and returned to full capacity in late 2013. Deliveries from Libya are directly linked to the precarious political situation in the country, which continues to cause concern. An increase in production and exports beyond current average levels is unlikely. Increased imports from Russia have offset reduced deliveries from North Africa in the recent past. ENI, Italy’s largest importer of gas from Russia, has got long–term contracts that will expire in 2035 and this gas is currently supplied by the pipeline via Ukraine and Slovakia. In winter months, imports from Russia cover well over 40% of total imports. Repeated cuts in supply, caused by commercial and political disputes between Russia and Ukraine in 2006 and 2009 have given rise to concerns regarding the reliability of future Russian gas deliveries transiting Ukraine, given the deepening of the political crisis between the two countries. Italy imports natural gas from five pipeline entry points (Tarvisio, Gries Pass, Gorizia, Mazara del Vallo and Gela) and three LNG regasification terminals (GNL Italia in Liguria, Adriatic LNG off the coast of Veneto, and Offshore LNG Toscana (OLT) off the coast of Tuscany). 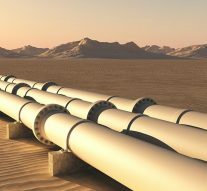 Construction of the TAP pipeline, a 10 bcm per year pipeline, which will bring gas from the Shah Deniz field in Azerbaijan to Europe, is expected to commence in the next years. The past government has been strongly supportive of this project, which will open up a new Southern Gas Corridor to Europe. The first gas sales to the European Union via TAP are scheduled for 2020. While different energy policies may be supported by the new government, it is very unlikely that what has been so far supported will change. Italy also plans closer links with the more liquid northern European markets, and the transmission system operator (TSO) is working to reverse the flow of the Gries Pass and Tarvisio pipelines that are expected to become fully operational at the end of 2018. The role of long–term import contracts still remains very important for the Italian gas supply system, where about 90% of demand is covered by imports. Almost one–third of active contracts have a contractual period of over 15 years, but this figure has strongly decreased over the years. Generally speaking, the long contractual period minimizes the impact of new governments on the long–term energy supplies national policy. Yet, a huge limit to the market derives from lengthy authorisation processes, that appear to have eased over the period since 2009, though. The past government has introduced a fast–track application procedure for PCIs. Strategic projects nominated in the Strategy, when facing unreasonable obstacles at regional level, are being authorised to make use of the overriding administrative powers of the Council of Ministers. Nonetheless, some problems remain. Such as, for example, the role of the regions, which have to give their administrative approval for a project, having de facto a veto powers over projects of national interest. Thus, while the sequence of governments has an impact, much more still depends on regional sovereignty, which jeopardizes the broad national interest. « Previous Article Italy: an EU Founding Member at a Crossroad?